When I was young, I lived in the country where the air was fresh and pristine, like the water that ran in the rivers and streams. That’s in stark contrast to the vast range of pollutants we now breathe in cities, largely unaware of their pervasive nature and insidious effects on our health. Days after the Chernoble disaster in 1986, my parents walked through the hills of Scotland under an ash cloud. Later the sheep from that area were sequestered by The Crown and destroyed. Thankfully that didn’t apply to my parents but the simple fact is that whether you are in one of our towns or living a bush or sea change, there are a certain amount of contaminates in the atmosphere that are, to all intensive purposes, unavoidable. 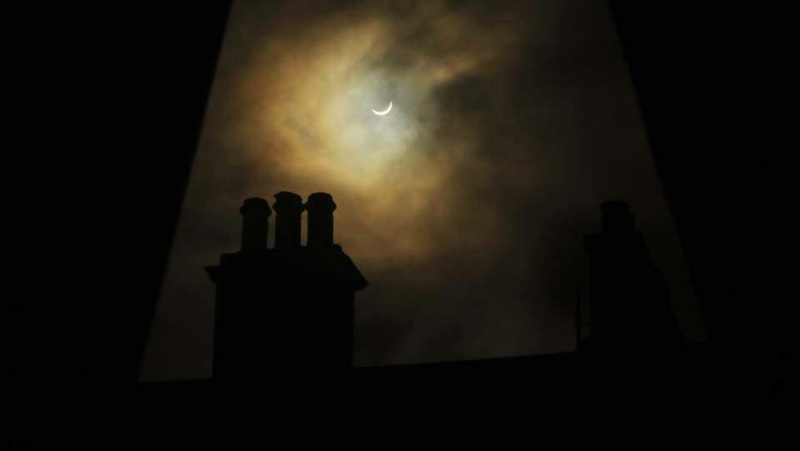 During the recent solar eclipse in the Northern hemisphere, I received two similar images via email taken at the same time, one in Morar in the country and the other in Edinburgh, right in the heart of the city. Spot the difference?! 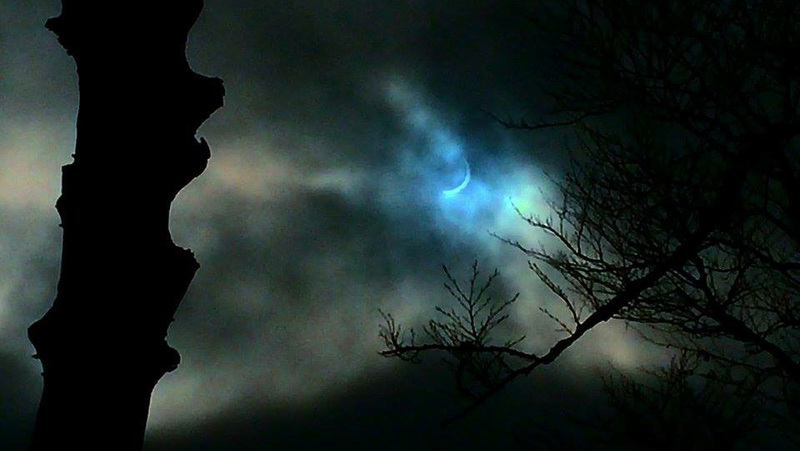 The exact same eclipse as seen in the countryside. It’s fair to say the polluted urban atmosphere would pose a health risk upon prolonged exposure…and the rural idle would be as clean as you could possibly get. However, that in itself casts up a problem in that the cleaner the air, the greater the UV exposure….not necessarily a problem in rain drenched Scotland (think of Darwin’s wet season coupled with Hobart’s winter chill!) but a perennial issue for Australians. At a time when the sun sits lower in the sky and we head out-bush for camping and trecking, or hit the beach without getting burnt to a crisp, we really should seriously consider the damaging effect on our eyes. Sure, we’ll cover up with a good 50+ sunscreen (they call it Tanning Lotion in Scotland…and factor 2+ if they’re feeling daring) but donning a pair of sunglasses is essential – you’d be a mad dog or Englishman if not. 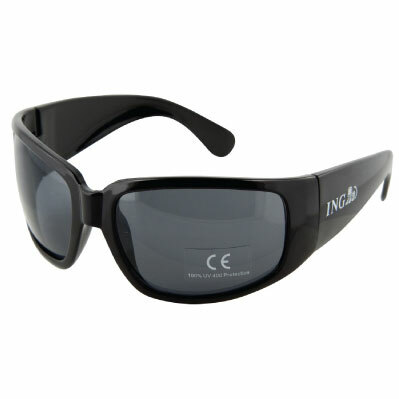 So it comes as no surprise then that one of our strongest selling promotional items are good old promotional sunglasses. In fact, our range is now so diverse that you can easily match many of the latest commercial styles + still print your corporate message on the legs. At the country’s lowest prices, you’ll find a lens to suit your budget and style but don’t think about taking them to Scotland on holiday – it’s a truly breathtaking place when the sun shines, but more often than not, the cold and the damp will take your breath away regardless. This entry was posted in eco, headwear, sports and tagged aussie, environment, glasses, promotional products supply chain. Bookmark the permalink.